Eichler: 1. In the conclusion to The Islamic Enlightenment you describe modern jihadists as “miracle-grow Muslims” who have been “incubated in the hothouse of modernity.” You write it is hard to attach the label “Muslim” to them. What is the relationship between today’s jihadists and Islam? 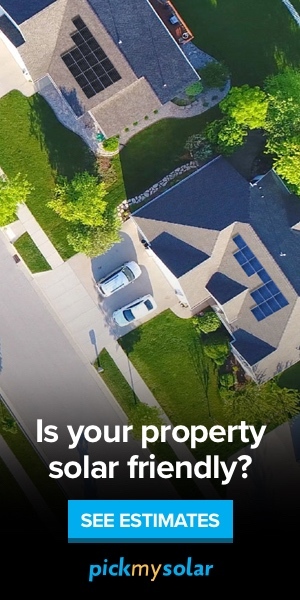 de Bellaigue: This is one of the most difficult questions of our time. I think opinion can be crudely divided between those who think modern jihadism has a distinct lineage going back all the way to the Quran, passing through other events and historical occurrences in the history of Islam; a lineage you can draw going through some of the leading conservative, puritanical and ultimately aggressive Muslim thinkers to ISIS. Another school of thought says what is happening here is a search for any kind of radical means of self-expression, and jihadism is a replacement or a surrogate for other means of political expression that could have been fashionable at other periods of modern history. You often hear comparisons with anarchist ideologies, for example. Olivier Roy, the French scholar of Islam, positions modern jihadism very much as a modern phenomenon, the product of a group of people rubbing up against modern values. He believes modernity infuses ISIS and other jihadi groups because they’re globalised; they scorn the idea of local community or local specific linguistic identities; and they adhere to ways that are not in harmony with conservative Islam. Both these arguments have something to commend them. You cannot say jihadi Islam has nothing to do with Islam. Clearly, it draws a lot from the religion — the essential cosmology is an Islamic one. But it’s a distorted version. A lot of jihadi tenets are simply out of place with traditional forms of Islam. The speed with which these people can become radicalised suggests a far more superficial engagement with the ideas than is really warranted. And as a result you get these nihilistic forms of self-expression that seem at a remove from the Islamic origins of the ideas. I think Roy underplays the historical context within which forms of modern jihadism find expression. Not all jihadis have the same background, but I’ve found — certainly in France — a fertile ground to radicalisation is produced when you have a disaffected immigrant population whose ideas and concerns are not taken seriously, who do not enjoy access to the power and wealth they see around them, and who remember a background of colonisation in Algeria or elsewhere in north Africa that fuels a historical sense of grievance. I think it’s a mistake to downplay that context. The other thing is there are broader questions of governance across the Middle East, and questions around climate change and demography. All these things are creating, have created, and will continue to create an unbearable sense of pressure upon people. I don’t find it at all surprising that under these pressures people lose their grasp on reasonableness, their grasp on the vital nature of moderation and dialogue. I can quite see how people slip into immoderation, into millenarian fantasy, into radical solutions for the problems they experience. Eichler: 2. 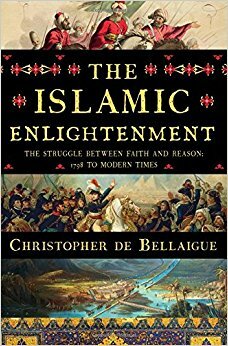 In The Islamic Enlightenment you argue that during the last two centuries “Islam has been going through a pained yet exhilarating transformation — a Reformation, an Enlightenment, and an Industrial Revolution all at once.” This telescoped process began with the French invasion of Egypt in 1798. What was the reception of Enlightenment ideas in the Muslim world? de Bellaigue: The reception ranged from incomprehension to suspicion to joy. But underlying all those different reactions was a sense among those with a broader perspective in the Muslim world that some form of accommodation with modern values was going to be essential if the lands of Islam were to survive as independent, sovereign entities. You couldn’t defend yourself against European political, economic and military encroachment without a military. That’s the essential starting point for all modernisation processes across the Middle East — the need to have a functioning military. You can divide the proponents of this modernity into the authoritarian modernises at the head of societies such as Egypt, Turkey and Iran, and those who were working the raw materials, i.e. the scientists, educators, bureaucratic reformers, feminists, journalists, and engineers who were grappling with modernity in all its different forms. Over the course of the nineteenth century they brought about an extraordinary transformation of life in the key urban areas — but spreading elsewhere as well — of the Middle East. The point of my book is to try and tell people that this swath of Eurasia that many believe to be immovable and resistant to change, in fact underwent an exhilarating yet painful change throughout the nineteenth century and going all the way up to the First World War and beyond. Eichler: 3. By the First World War you write that a liberal modernising tradition was competing with militarism, royalism, and traditional and revivalist forms of Islam for dominance of the new post-Enlightenment Middle Eastern nation states. What tipped the balance against the former tradition? de Bellaigue: On the eve of the First World War there was a very strong liberal tradition that had brought into being democratic politics in one form or another in Cairo, Istanbul and Tehran, the three main catalysing centres of Middle Eastern life and thought. What tipped the balance in the long-run against that liberalising tradition, I believe, was the war itself and the settlements that followed. There’s a problem here of message and messenger. Liberalism was associated with the western powers. Within the west there was a contest between liberalism and other forms of political thought. But in the Middle East liberal thought — ideas about democracy, empowerment, emancipation, the privileging of the individual over the collective — was linked to the European powers that carved up the Ottoman Empire and subjugated the Middle East either directly or indirectly. At a stroke it became very easy for opponents of this liberal trend to say: proponents of liberalism are behaving in a fundamentally illiberal manner; their opposition is to our civilisation; they want to destroy our religion; they want to destroy our cultural identity. The reaction to that — the most potent and long-lasting reaction — was the Islamist response. The Muslim Brotherhood was formed in Egypt in the 1920s. While it was not a movement aimed at political power, it sought to influence politics through new forms of Muslim self-expression. They said to Muslims we’ve spent over a century trying to chase after the west but in fact we have the tools for our own regeneration, our own revival, within ourselves and our own culture. The Muslim Brotherhood is the fountainhead of movements that then grew more and more radical. And of course a parallel track appeared in Shia Islam, centring on Iran and culminating in the 1979 revolution. Eichler: 4. What is the relationship —if there is one — between this early form of Islamism and to that espoused by al-Qaeda and ISIS? de Bellaigue: Each group, as it becomes more radical, distances itself from its intellectual forebears. The Muslim Brotherhood were themselves influenced by much earlier figures and movements, most notably the Wahhabi movement in eighteenth century Arabia. But they also drew on earlier theologians who had struck a hardline posture with respect to innovation, with respect to what they saw as deviation from a pure version of the faith. I’m not sure that someone from ISIS today — assuming they even knew what you were talking about — would own up to an intellectual debt to these earlier movements. However, sitting outside the structure I think it’s possible to see a hardening. There’s a hardening between the early Muslim Brotherhood and its later manifestation with Sayyid Qutb, who popularised the idea that a Muslim ruler should be opposed if he was not sufficiently pious or just. This goes against a tradition of quietism and acquiescence to the political power of a Muslim ruler that really extends all the way back through Sunni Islam. The idea of revolution is extremely radical and conservative Islam on the whole did not entertain it. Now [with modern jihadism] we have an idea not simply of revolution being good but also of the individual believer, with very flimsy clerical authority, taking it upon his or herself to administer justice in the form of executions and beheadings and all the rest of it. We find an increasing radicalisation with each movement trying to out do the previous one. As I say though, I’m not sure members of these groups would actually recognise the lineage I’ve described and they would say they have been touched directly by God and they’ve found the most direct route to pleasing him. The jihadi world is very variegated. You had a kind of reformation, a cutting off from clerical authority, with the end of the Ottoman era when the idea of a codified, standard Islam was suddenly destroyed. You now have individual believers administering justice on their own terms. Modern jihadism throws away all the old terms of reference, the old restraints that were part and parcel of Islam as a social structure with a clerical authority — all that just gets thrown away. We return here to that whole idea of jihadism being infused with an aberrant version of modernity. Eichler: 5. There’s a lot of talk of the Sunni-Shia divide and increasing sectarianism in the wake of the Arab Spring. Should we be looking at this apparently religious conflict in the Middle East through a theological lens? Or is there a better way of understanding it? de Bellaigue: There’s a very good book that I’m reading at the moment called Sectarianization: mapping the new politics of the Middle East (2017), edited by Nader Hashemi and Danny Postel. I find the basic idea in that quite convincing: sectarianism is a tool that is used for political ends rather than the cause of all the instability in the Middle East now. There’s an ahistorical view that contends that what we’re seeing now has always been there. The Sunnis and the Shias have always been at each other’s throats and none of this is surprising. But that’s not the case. The sectarian hatred that we see now has been, in almost all cases, fostered for political ends and occurs when a constituency is identified either by democratic politicians or to legitimise armed action. One also has to be aware of the instrumental use to which it has been put and my sense is the sectarian divide has become much more lethal and bloody essentially since the Islamic revolution in Iran in 1979, when the Iranian form of Islamic militancy was first exported outside of the country, and the Afghan jihad in the 1980s. These are all political and military strategic events. There’s nothing notably theological about them and here we have their manifestation in horrendous acts of sectarian violence. There are interesting parallels with our own sectarian history. It’s the narcissism of small differences, as I think Freud put it. These tiny differences get magnified and they become a reason to kill someone who is in fact very close to you in so many different ways. And that’s the tragedy that we’re seeing today. William Eichler has an MA in Middle Eastern Studies. He is a writer and reviewer, and blogs at Notes on the Interregnum: Essays and Reviews. You can follow him on Twitter at @EichlerEssays. Born in London in 1971, Christopher de Bellaigue has worked as a journalist in the Middle East and South Asia since 1994. Christopher de Bellaigue is a frequent contributor to The New Yorker, Granta, Harper’s, and The New York Review of Books. He lives in London with his wife and two children. His most recent book is The Islamic Enlightenment.